Last time, we talked about the snake brain. Even though our brain has 3 parts, each with different functions, the primitive snake brain is far superior when we are stressed. It has two main functions: (1) food (yummy, yummy!) and (2) protecting us from danger with a fight or flight response. Meanwhile, the puppy brain stores information as emotions and uses them to navigate us. 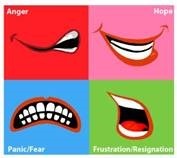 For example, on a conscious level, we would label all kinds of anger with the same five letters: a.n.g.e.r. The puppy brain is able to distinguish between “I was slightly angry”, “I was angry”, “I was very angry” and “I was soooooooo angry”. In the brain, the feeling is stored along with its intensity. Whenever something happens to us, the puppy brain searches our emotion bank for similar feelings we experienced in the past. This helps it decide how to translate the new information. Every experience creates an emotional reaction or a wire that link our brain stores. When the event is significant to us and we experience strong emotions, or if it repeats itself, the wire becomes “thick”. Later on, we can reach that emotion faster. When our ratings of our feelings are very strong, as in “I am so angry, I’m furious”, we are at risk of letting the snake take over. 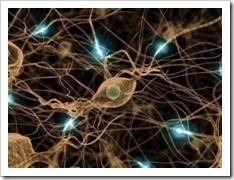 Wires are a string of nerve cells or neurons called dendrites, linked together in a particular pattern. This is the storage of our experiences. 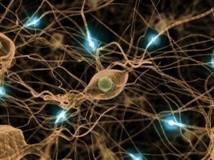 It is estimated that each person has 100 billion neurons and each of them is connected to 100 to 100,000 other neurons. Some connections create a circuit. Wires become “thick” when the experience stimulates strong emotions or occurs repeatedly. 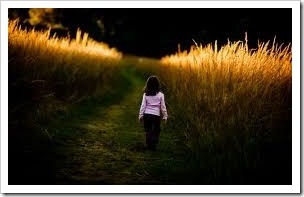 Wires in the brain are like a path in the tall grass. 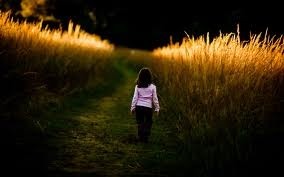 If you run through once, and never go back again, the grass gradually straightens up and you cannot see the path anymore. If you run through it firmly, or you run through it couple of times, it becomes a road and you can see it from a distance. When you walk through it repeatedly, it eventually becomes a highway. On a highway, it does not take long to get from A to B. It is the same with your emotions. Once a particular event is linked strongly to a particular emotion, you will find yourself experiencing the reaction much quicker when the event happens regularly. What this means is that if something were to happen to us today, we would react automatically based on our wiring from previous years. For example, when you were a kid you felt belittled when your dad yelled at you. If the experience happened repeatedly, you would have developed a wire in your brain (a thick wire, maybe even a highway) that says, “Someone yelling at me makes me feel small and helpless”. Now you are all grown up. But the next time your partner yells, you might feel exactly the same. Even if the partner is yelling because they are tired and frustrated, or because of something that does not have anything to do with you. To understand our emotional reactions today, we can use the same methods astronomers once used to look at the sky. When you see a star in the sky, it is a dead sun whose light we still see light years after. Our brain is very similar, we react today, based on old wiring that was created and thickened in our pasts. Here is an example of how it works: If you had the most wonderful experience as a kid, spending a day on the beach with your family, your puppy brain will trigger the same emotions every time you go to the beach, even when you are 55 years old. On the flipside, when you have painful experiences as a kid, for example, if you were punished because you played with matches, your puppy brain will trigger those emotions every time you hold a match in your hand, even if you are a mature and responsible adult today. Our brain uses a pattern matching mechanism. Whatever events happen to us trigger the brain to search for existing wires (or synaptic connections if you want to get technical). You might be thinking, “Why ever would it do that?”. Well, that is the reason it stored the information in the first place – so that we could link future events to previous experiences. Life is complicated and the brain needs to simplify. Otherwise we would be completely overwhelmed. This just makes things a whole lot easier. First, the brain notices the thick, big wires – the significant emotional experiences or the highways. Those extreme feelings tend to trigger the snake brain. If we are at our ultimate joy, the snake is happy and the ride is smooth. If we are stressed, whether it is because of a real threat or a perceived one, our snake runs or bites (flees or fights). This happens so fast we have not even had a chance to think of involving any of our other brain parts, like the calculator. 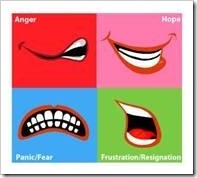 This ability to bite or run is a highway – we have created a strong emotional connection between a particular stressful situation and our reaction. It is essential to our survival. In general, this is a great process and it keeps us functioning well. Thinking in a specific way strengthens the wire and makes it thicker. The problem occurs if we think bad things. For example, if you constantly think your child is a pain in the backside, you are walking across the same path, again and again. When your child does something tiny, that is similar in one aspect to previous events, you will find yourself zooming down the highway and quickly reaching your emotional destination of “my kid is a pain”. This is true in a positive way, when you say “my child is awesome”. We call this the self fulfilling prophecy. It is not a theory, it is wiring mechanism. What you think over and over again, is your reality. Join me next time for the next part of Wired for Happiness, with tips and activities for changing our wiring and creating happy highways.